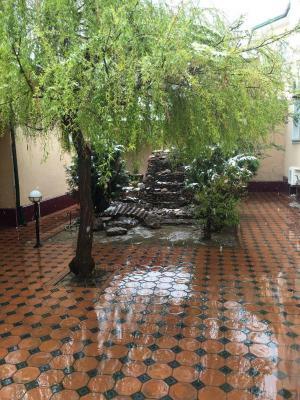 Lock in a great price for Grand Tashkent Hotel – rated 8.3 by recent guests! You get more than you pay. In overall my wife and kids are satisfied. Reasonable located, close to the airport, business and some nice restaurants. Air-conditioner. Breakfast-OK. Location is good and quite neighbourhood. Staff is helpful and breakfast was also nice! Clean and quiet, off the main road. Good location - cose to the airport and short bus ride to city centre. You could pay with card. Вежливый персонал! Отдельная благодарность ресепшионистке Алине за помощь в предоставлении помещения для бизнес встреч! Завтрак хороший, но к яишнице или амлету не идет сосисок и так далее. Очень понравился завтрак в виде шведского стола. Удобное расположение, недалеко международный аэропорт. До метро придется идти около 1,5 км. Понравилась администратор Алина, очень добрая и отзывчивая девушка. В номерах чисто, убираются каждый день. Отличный отель. Завтраки хорошие, разнообразные. Персонал душевный. Отель предлагает спа-процедуры. Обязательно остановимся здесь еще не раз. До центра добирались на такси (быстро и дешево). В номерах есть холодильник. 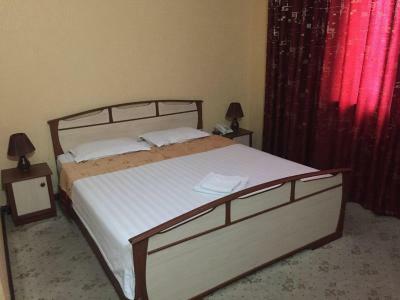 Grand Tashkent Hotel This rating is a reflection of how the property compares to the industry standard when it comes to price, facilities and services available. It's based on a self-evaluation by the property. Use this rating to help choose your stay! 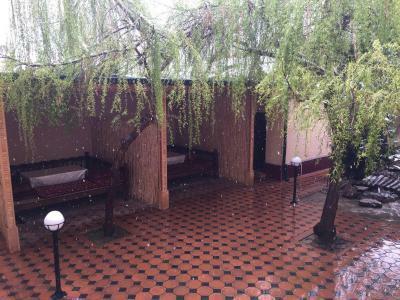 Grand Tashkent Hotel features a garden and a bar in Tashkent. With free WiFi, this 2-star hotel offers a 24-hour front desk. The property provides airport transportation, while a car rental service is also available. You can play ping pong at this 2-star hotel. A business center is at guests' disposal at Grand Tashkent Hotel. When would you like to stay at Grand Tashkent Hotel? House Rules Grand Tashkent Hotel takes special requests – add in the next step! No, elevator - 3 floors, extra-firm bed, seeing beetle in the bathroom was unpleasant in particular. The bed was veeeery bad. It was like sleeping on the rock. The wifi also was very bad. They can improve bathrooms in the rooms. They are okay, but still owner of the hotel can improve them for being the best! Good breakfast. Small but lovely garden.